The Garage of Blessings is an Oak Harbor non-profit organization which operates much like a thrift store. The major difference being that they give their items to anyone in need. Blue Mountain Electric owner Don Howat had been working on a work van which had been removed from the company fleet when he got the idea to see if any of the service organizations in Oak Harbor needed it. 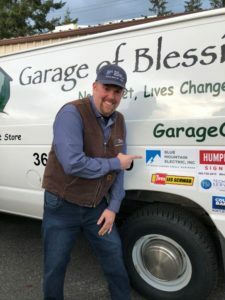 He met with Jeff Humphrey of Humphrey Sign Co. and asked if Garage of Blessings needed a van, Jeff being on the board of the organization. Jeff gave Don a shocked look. 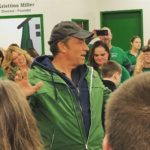 Not only did they need a van but Mike Rowe was coming to town to with his show, “Returning the Favor” to support Garage of Blessings owner Kristiina Miller. Thus began an incredible opportunity for Oak Harbor community businesses to provide their support as well. The van did need some work to get it ready. Tire companies, mechanic shops, banks, realtors, and many more donated money or their services to fix up the van. 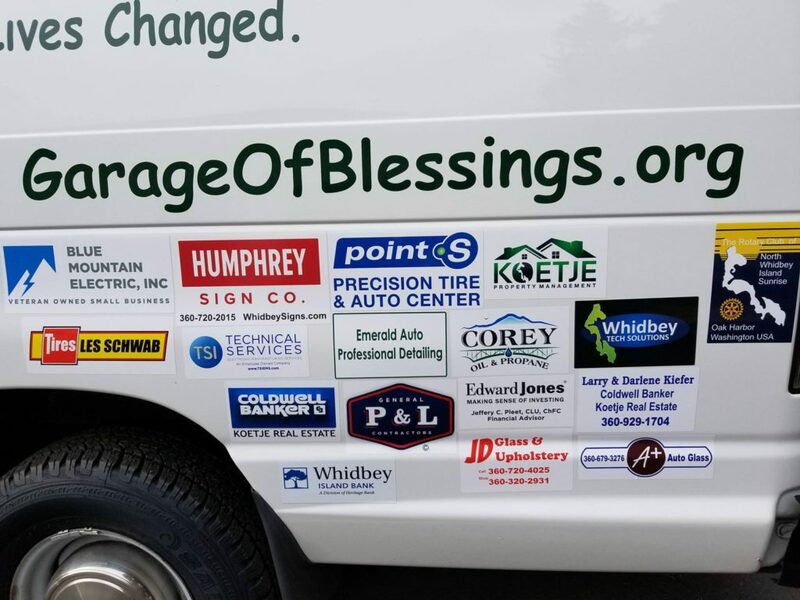 Not only was the van fixed up, but an additional $4000 was raised to be given to the Garage of Blessings. The big day dawned and Mike Rowe arrived. Mike Rowe and his crew shocked Kristiina Miller with blessing after blessing. Don, and a handful of other members of the Blue Mountain Electric team, were in attendance with over a hundred other community supporters. Cameras rolled as Don presented Kristiina with the key to the freshly polished and labelled van. Blue Mountain Electric is proud to support local businesses and charities. We live and work in a wonderful community with so many other supportive businesses.